The love and connection as a family will be the first things you will feel when walking into this campus. Every day Jesus is present in everyone and everything we do. Through the weekly school masses, the sacraments that we receive and celebrate, the retreats, the love that the teachers have shown to us, and the respect and care we have for one another, our faith grows stronger. Our faith is carried with us not only in school, but it is translated to everywhere we go. 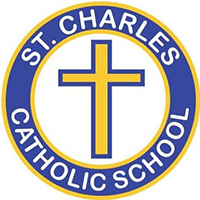 St. Charles provides a unique and nourishing environment for every child to develop their Catholic identity. The bi-weekly masses, sacrament preparation, and daily religion classes help each student to become more in touch with their faith. The teachers go above and beyond all expectations, they not only guide their students, but provide a wholesome example of Catholic living. Catholic education was something my husband and I discussed prior to having our children. After attending Sunday Mass, visiting the school, and becoming involved in Sunday school, we knew St. Pius X was going to be our forever home. I always say to new parents I meet that we already have something in common: our faith that leads us to choosing Catholic School for our children. Please extend this letter to the rest of the staff so that they understand they made a positive influence on yet another student… an Ivy League school applicant, president of my school (high school). Without my foundation at St. Michael Academy, I would not be who I am today. This school is a safe place. Everyone is accepted here, and you get to learn great values. At St. Rose of Lima, I have grown from the friendships I have made and have been exposed to kindness everyday. My teachers have given me the opportunity to reach my full potential and to blossom beautifully. I will eternally be grateful for my education at SRL, and will hold the people I have met here, in my heart. Having my children attend St. Therese Academy also means that we are part of a wonderful and close community. Every Tuesday I volunteer in the library. I love that I can be a part of the kids’ day when I want to, and when I am available. All 3 of our children have attended Blessed Sacrament Parish School from the time they turned 2 and could start preschool. We have a son who graduated in 2014 and is now a senior at St. Augustine High School, a daughter who is a current 8th grader with ambitions to attend OLP in the fall and a Kindergartner!! There have been many changes over the years, but one thing remains and that is the wonderful Catholic and family foundation at BSPS. Most of our very best friends, parents and children, we met at BSPS. Our Kindergartner’s God parents are parents we met at BSPS when our older children were younger – they are truly family. I feel very strongly that my children have and continue to receive an education based in faith and are being taught by teachers who truly love them and want the best for them as individuals. Our children have strong morals, are kind people and have a strong foundation for making good choices in life and for being leaders as they continue to grow and develop. St Rose has given my children the skills needed to be well-rounded, faith filled students. It not only is their school, but truly their home away from home. My teachers don’t only teach me how to pray, but also how to love my classmates, friends, family, and the poor. There are not enough words to thank you for your dedication and effort that you made for my family and I. Thank you very much for your support. I thank God for putting you in our path. Things were looking complicated. But, for Him [God] nothing is impossible. God made it possible by putting you, like an angel, to help us. Thank you very, very, much. We transferred to BSPS from a school that we were with for 7 years. We were worried that it would be difficult to develop new relationships and feel at home like we did before. Shortly after transferring mid year, other families began to reach out to us to invite us to events and outings. We were treated so warmly by the rest of the families that we felt at home very soon after the transfer. Not only have my children been welcomed with open arms by their peers but the quality of education they receive is much higher than what we experienced in the past. I highly recommend this school to all prospective families. The faith-based education our daughters have received at St. Rose of Lima School has enriched their lives and challenged them academically. It’s a well-rounded school with strong family values. I like Santa Sophia Academy because everyone cares about me. We get to pray and learn about God each day at school. 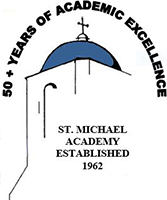 The Catholic values and education is the best at St. Michael. The high standards of the school are reflected in the happy and eager faces of the children. 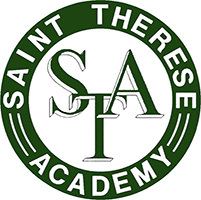 St. Therese Academy prepared me for high school with a great education in a caring and loving atmosphere. The small class sizes have allowed my boys to gain a level of academic confidence that they could not get in larger classes. Not only is the faith-based learning teaching my boys fundamental Catholic teachings and solid morals but also it lets them get a sense of family, community, and belonging. My daughter, Galia, LOVES coming to school! She loves her teachers and her friends. We love the families, the caring staff and the facilities. My daughter has learned so much this year. THANK YOU, THANK YOU, THANK YOU! 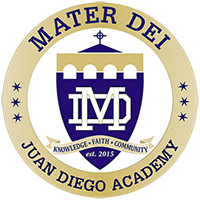 We’re blessed to be a part of JDA’s 1st generation of students! new families to join us. I have been a student at Mt. Carmel since Pre-Kinder. There are many reasons why I like OLMC. For instance: excellent teachers, nice classmates, fun events, going to church and virtues. But overall because I feel God’s love everywhere, throughout the whole school. We love having our girls at St. Therese Academy; the teachers, all the friends, and the atmosphere of respect and love for one another. Since the moment my wife and I set foot in the school and was greeted by a polite young girl who offered assistance, we knew St. Pius was the school for my son. … The accessibility to the faculty and principal allow for an invaluable opportunity to participate in my son’s development. It is difficult to identify just one thing that makes our school special. The dedicated teachers who guide our children both academically and spiritually does top our list. Being here makes me feel special because I have friends and teachers that care about me. 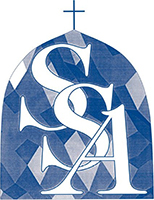 I am grateful, thankful and blessed to go to St. Michael Academy. It is a beautiful caring school with loving people. St. Pius X School has been an outstanding experience, both institutionally and academically, for my family….. The teachers and staff at SPX are extremely dedicated to their students …, with innovative teaching, and the family based culture is why I will keep my kids at SPX. 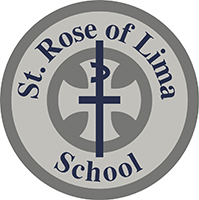 My husband and I selected St. Rose of Lima School to enroll our daughter approximately 9 years ago. As she prepares to graduate this spring, we are excited and convinced that we made the right choice in school. We have seen all of our 4 children thrive academically and become active community members. We are blessed to have such caring and strong community. We feel blessed to be in this school where my son is in a loving environment. He is learning two languages that we value a lot, receiving a lot of values, and good bases that I’m sure will stick with him for the rest of his life. thank you for all your effort and hard work!! My son, Conrad is my third child to attend OLMC. Just like his brother and sister, he has received a wonderful education. OLMC stresses good citizenship and a strong faith-based on moral compass. My children willingly come home and discuss events at school, events in the world and their faith. The students here do their best, and are focused & determined to be better people than we were yesterday. Since kindergarten, along with others, I have been taught responsibility, respect, integrity, compassion, and success. I like going to School Mass because we do the readings, we’re in the choir, and we do the petitions and responsorial psalm. Moving from another school to St. Charles was the best decision I made. I can’t imagine how different it would be if I weren’t here because of all the memories and fun times you have daily. We arrived at Blessed Sacrament looking for smaller classroom sizes and more personalized attention, but we ended up finding so much more. Blessed Sacrament was a new experience for us, it was a place where the student and the family occupy an important place and where we all felt part of the educational experience. Our child stopped being just another student and became part of a school family that welcomed him with open arms. We have seen him thrive in an environment where he feels accepted, validated and important. The curriculum is rigorous, but he has found help every step of the way. 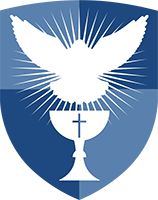 Blessed Sacrament has been truly a blessing for us and we are very optimistic about its future. We not only teach academics, we nurture a child’s soul and from that, our students know they are a Child of God. 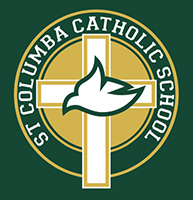 Two of our children have attended St. Pius X Catholic School. The school’s emphasis on Catholic values along with excellent academics is very important to our family. 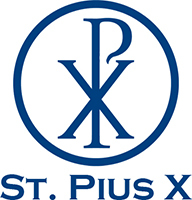 St. Pius X Catholic School produces well rounded students with a strong moral character who are ready for the next step in their education. Through this letter I want to express all the gratitude I feel when I see my two small children attend St. Pius X School. Only God and His mercy could had allowed for my children to receive catholic education within our catholic faith. Many thanks to all and each of the people that have kindly received us with love, their words, their smiles, the interest they show when they take care of my children. Many thanks. I ask God our Lord to pour out His glory and blessings on you and your families. Thank you to all of you that took the time to read and listen to me and God touched your hearts so you would understand my needs as a mother. We are very happy; my children are ecstatic to be here where our God’s word is present through the education.